Creative Beasts » Creative Moments, Shiny Baubles and Mushroom Hunting. Home > creative process	> Creative Moments, Shiny Baubles and Mushroom Hunting. Creative Moments, Shiny Baubles and Mushroom Hunting. 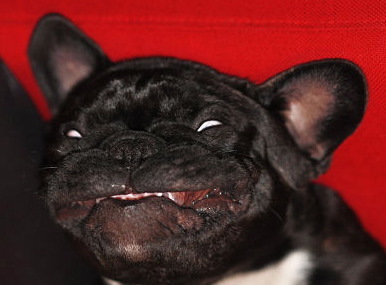 Marcel (a beast) in ecstasy... or something like it. Creative moments are fleeting. 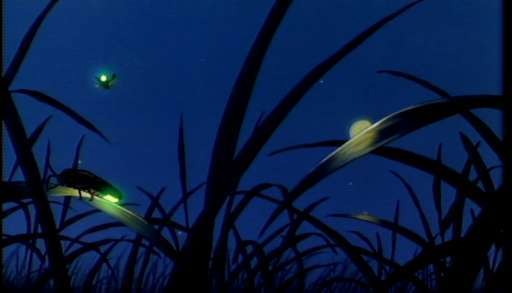 They come in glimpses like fireflies on a warm summer’s night. They are beautiful, magical and fragile. When you hold them too closely, the light goes out, and the magic is gone. I think creative types sometimes spend so much time searching for the shiniest bauble that they fail to see the ones that roll right up to their toes. Many artists are addicted to extremes… to the edges of things, because indeed; these are the places to which others seldom venture, and therefore they abound with splendid secrets and answers to questions most dare not even ask–or so it would seem. However. Extreme existences can be extremely exhausting, going from agony to ecstasy to agony, and very little in between. Furthermore, it may very well be a waste of creative energy. By paying closer attention to the subtleties and nuances of daily life, it may be possible to experience an even greater level of awareness and overall personal fulfillment. It requires patience, discipline, focus, openness and concentration. These are things I’m working on wrapping my head around in order to achieve a greater sense of passion and fulfillment. Recently, I parted ways with a job that as it turned out, wasn’t a great fit for either party. I was looking for a role that offered more creativity as a copywriter, and eventually it became like trying to fit a square peg into a round hole. And this square peg is here to say that when you keep trying to wear down your own edges to fit into a particular mold, not only is it counter productive; it’s downright painful. The lesson here for Creative Beasts is A) try to avoid these situations whenever possible, and B) if people aren’t buying your brand of honey, find somebody else who gets and appreciates its value. Artists get paid when they meet/find their market. That is appreciation, and from that comes gratification. While the initial parting of ways was a bit sad for me at first, I soon realized that it may have been the best thing that could have happened. Now I have the chance to leap headlong into new creative endeavors, and see where they lead… writing, painting and filmmaking projects await. Passions are reborn. 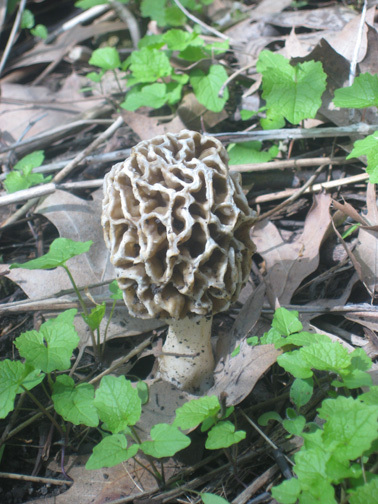 Aside from that, I have since discovered a new passion which is morel hunting. For those who are unfamiliar, morels are exquisite mushrooms that grow only in the wild, and only in the spring for a period of 2-3 weeks. They look a bit like a piece of coral on a stalk, and they are perfectly delicious and altogether magical. They grow in the woods when everything is just coming back to life. Perhaps one of the greatest pleasures of seeking out this magnificent edible is the chance to witness nature in all its splendorous glory. Then there is finding the morels, which, incidentally, has turned out to be a wonderful metaphor for my current place in my creative path. Sometimes you look and look and you find little or nothing. Then, you cross a road or a stream, and there they are. You may not see them at first. They are elusive and well-camouflaged. But as you squat down, and look hard and close to the ground, suddenly, they start to appear right in front of you. And it is amazing. Hi there, and thanks very much for the kind words. Yes; there will be more to come, so please check back soon. Thanks, again! It is so interesting to see what everyone is up to since graduation. Seems like a lot of doctors and lawyers, which is nice, but I’m really glad to see some creative people who are embracing technology. So cool! Cool, thanks, Sara. Will check it out! So far, I am the sole writer for CreativeBeasts. I hope at some point there will be others. My vision is that eventually it will evolve into a creative community of sorts. Thanks for the feedback, Sara. It’s deeply appreciated! So you don’t fit in. Good.